Nationally, it has been behind in the polls for years. Several of its mps have defected from the party. Many others have said they will not contest the next election, due in May. The bickering about what has gone wrong and who is to blame has become deafening. So how did the ruling Liberal party win a state election in New South Wales this week? 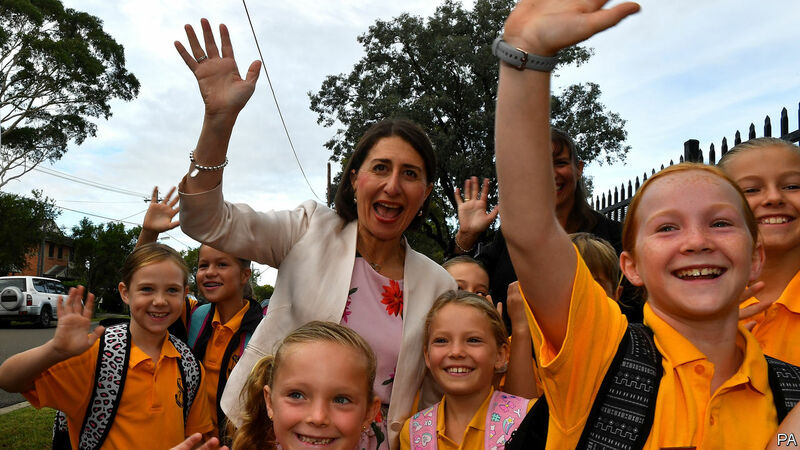 Gladys Berejiklian, the Liberals’ leader in the state, expressed pride at having won despite being both a woman and “someone with a long surname”. But that may have worked in her favour. During the campaign, the opposition Labor party tried to stir indignation about immigration. Days before the vote, a video surfaced in which Michael Daley, the local Labor leader, complained about an influx of phd-wielding Asians. “Our kids are moving out and foreigners are moving in and taking their jobs,” he protested. He apologised (and has since resigned), but Sydney’s huge immigrant population turned against him.